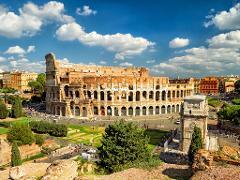 With Show and Go™ access, there are no reservations needed to explore Rome’s three most significant historical attractions—Palatine Hill, The Colosseum, and the Roman Forum—with no entry lines. Explore The Floating City in the most authentic and atmospheric way—with a traditional gondola ride along its canals. 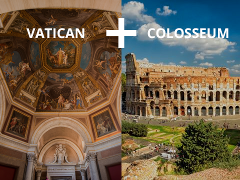 This exclusive single-pass offer is a great value and gives you the flexibility to join two separate guided tours of Rome’s most famous cultural destinations—The Colosseum and the Vatican—at whatever time or day works best for you. 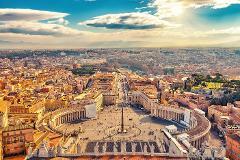 With Show and Go™ access, there are no reservations needed to explore the Vatican City’s most dazzling art masterpieces—including The Sistine Chapel and St. Peter’s Basilica.